Jagram Georgian Summerhouse Pavilion: The Jagram Georgian Summerhouse Pavilion is a large summerhouse that provides the space for outdoor entertaining or relaxing in luxury. 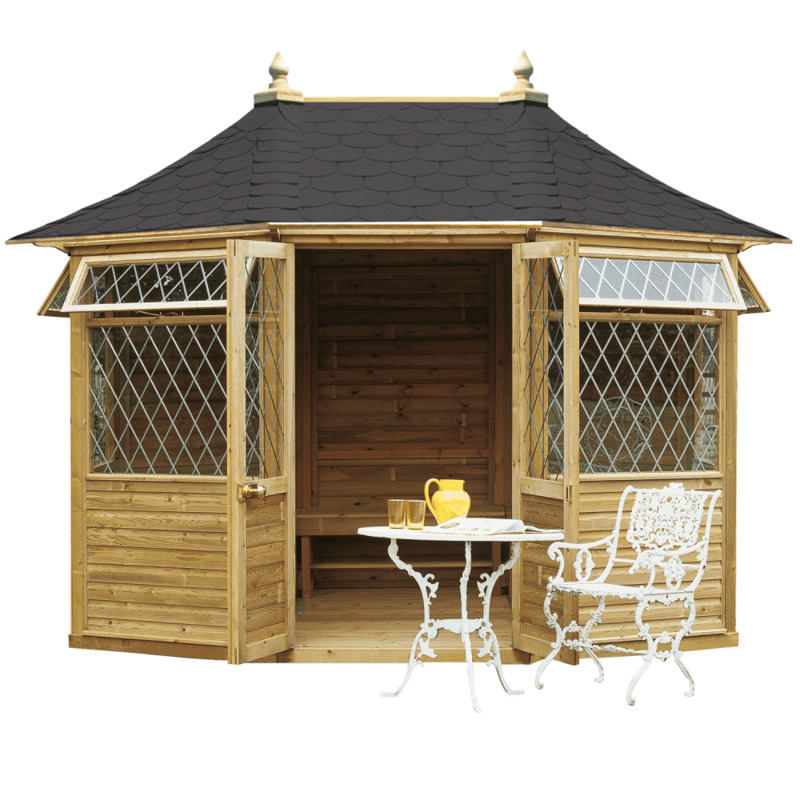 With brass fixtures, diamond-leaded toughened-glass windows, and treated timber components, this spacious octagonal wooden summerhouse is built to withstand the elements and to remain an attractive garden feature in any season. With large double doors at its front and top opening windows, the summerhouse will provide well-ventilated shade during the summer months. With its felt shingle roofing tiles, available in green, red or black, the vaulted roof offers shelter and protection. The octagonal wooden floor is included as standard, and benches can be added as an option for purpose-built interior seating. The classic styling of dual pointed finials and curved roof pieces made this a striking and attractive garden buildin.